Charlize: My child I thought was a boy is... a girl! Renowned American television host, comedian, writer, producer, musician, and voice actor Conan O’Brien has arrived in Armenia to shoot his show, which will be broadcast on November 10. O’Brien posted a respective picture on his Facebook account, and in which he and her Armenian assistant Sona Movsesian are photographed in front of the Temple of Garni, in Armenia. “Brought my assistant Sona home to Armenia. It was this or give her a raise,” the comedian commented atop the photograph. 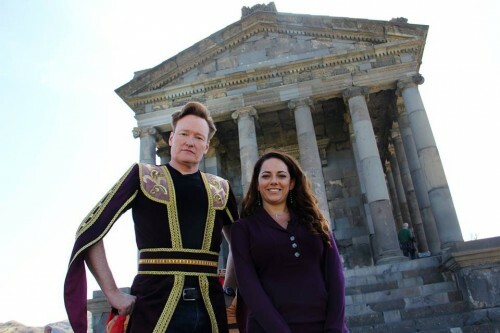 We have found out that this is not only Conan O’Brien’s, but her assistant’s first visit to Armenia. They have arrived in Armenia on October 11. “I’m having a pretty surreal week in Armenia with my boss ConanOBrien. 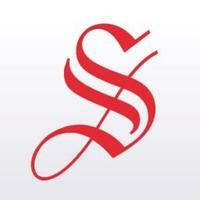 I can’t wait until you all see our adventures,” Sona Movsesian tweeted, in turn. last news on "Celeb news"
Eurovision 2019: do you like Srbuk’s contest song «Walking out»?